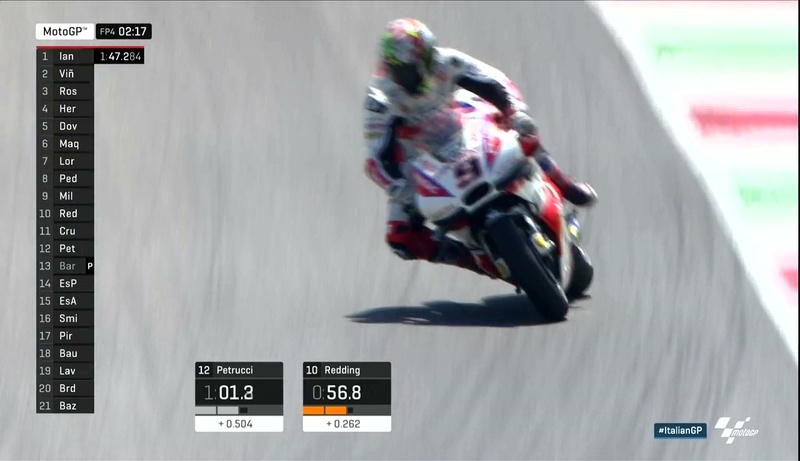 Italy GP FP4: Ducati Reloaded! 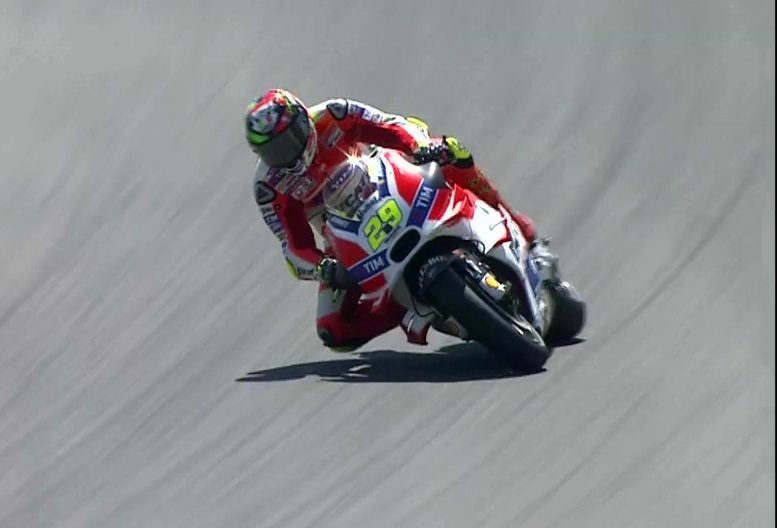 Andrea Iannone looks a hard man to beat in Mugello, the Italian leading FP4 ahead of Rossi and Viñales. 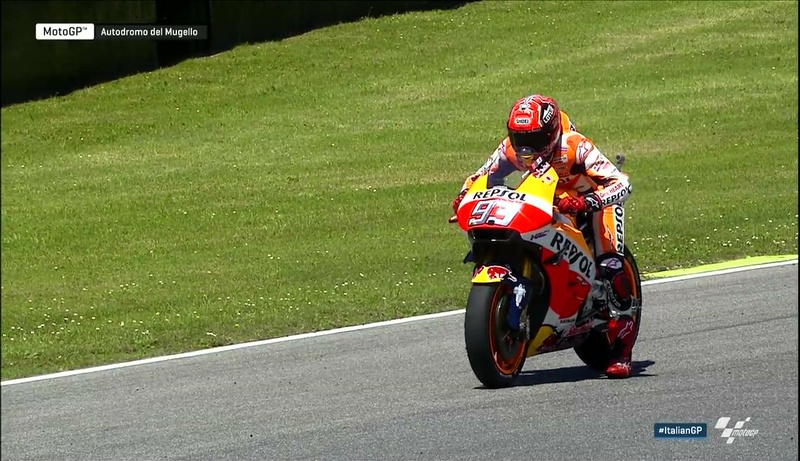 Mugello continued to be graced by splendid weather conditions as the MotoGP™ World Championship began Free Practice 4. 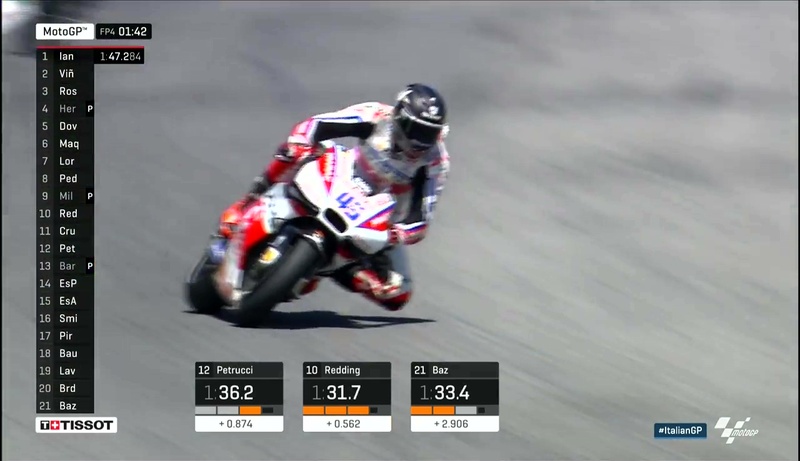 One of the main goals for riders in the session was to attempt to choose their race tyre, Michelin feeling that both the soft and medium could work over race distance. The soft had worked better in the slightly cooler conditions of the morning, but the medium came into its own during the afternoon. Again it was Andrea Iannone (Ducati Team) who set the pace, the Italian proving that he’s more than just a one-lap wonder. 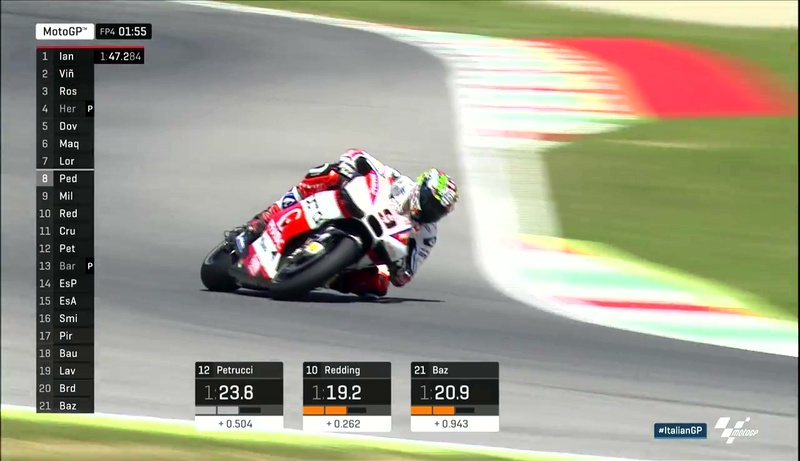 FP4 is usually a good indication of race pace, Iannone looking unstoppable if he can keep his speed up. His 1’47.284 was not quite as fast as his time in Free Practice 3, but it did demonstrate that he can consistently get in the low 1’47s. 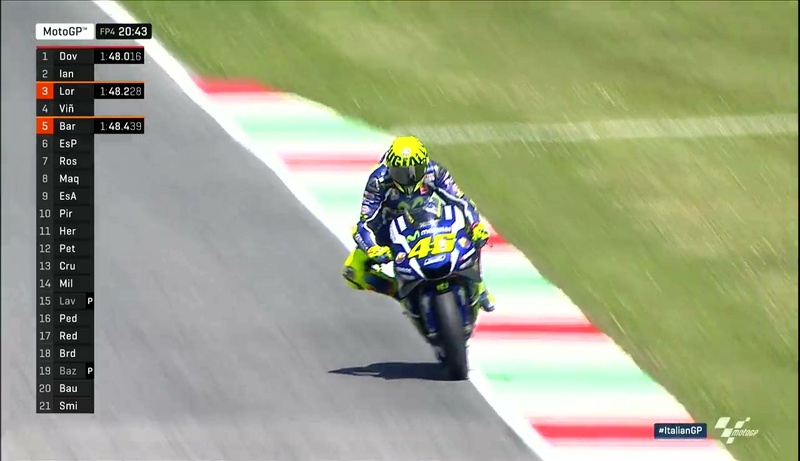 0.092s back was Valentino Rossi (Movistar Yamaha MotoGP), the Italian showing much better in FP4 than in previous sessions. The real test for Rossi will come during Qualifying, starting on the front two rows will offer a huge boost for ‘The Doctor’ come race day. 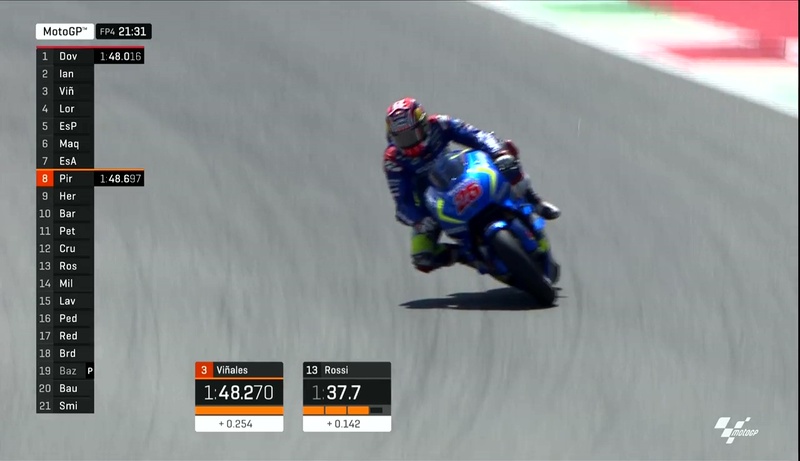 Maverick Viñales (Team Suzuki Ecstar) made it three different manufacturers in the top three as he set a 1’47.545 to end just over a quarter of a second back on Iannone. 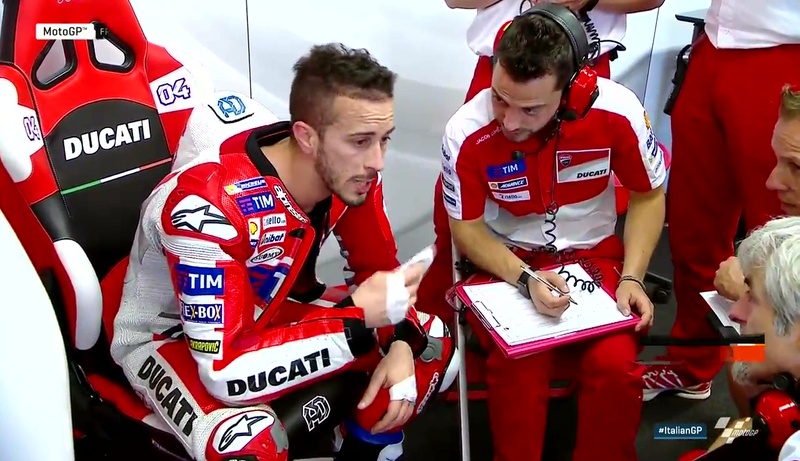 Andrea Dovizioso’s (Ducati Team) neck issues seemed to have abided as he took fourth place ahead of Scott Redding (Octo Pramac Yakhnich). 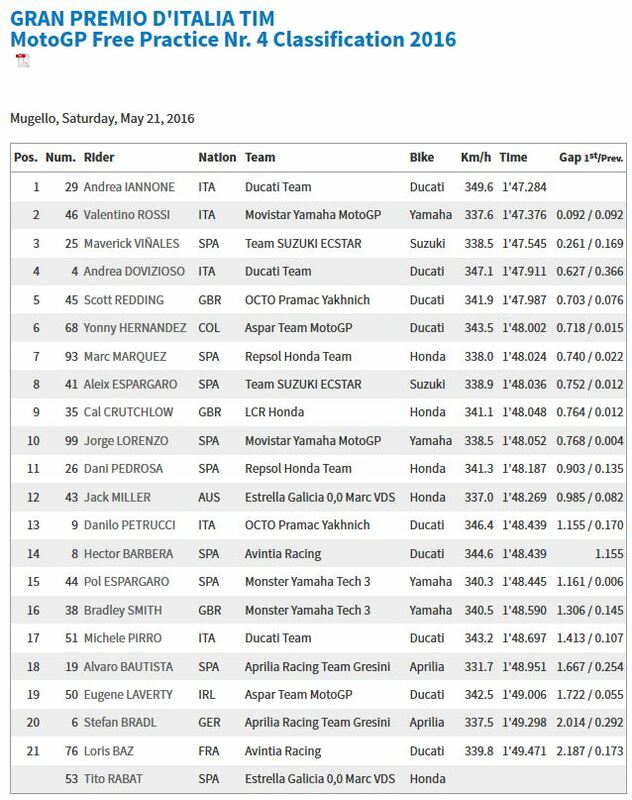 Although there were three different bikes in the top three, three of the spots in the top five were filled by Ducati riders, clearly going well at their spiritual home. 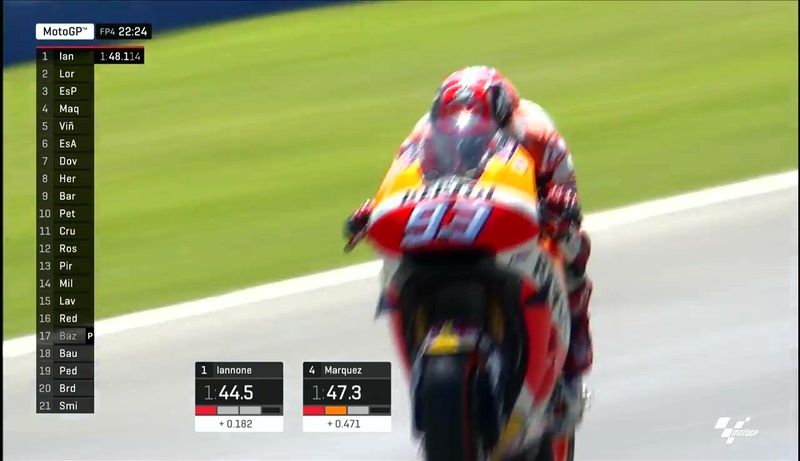 Yonny Hernandez (Aspar Team MotoGP), Marc Marquez (Repsol Honda Team), Aleix Espargaro (Team Suzuki Ecstar), Cal Crutchlow (LCR Honda) and Jorge Lorenzo (Movistar Yamaha MotoGP) were all inside the top ten. 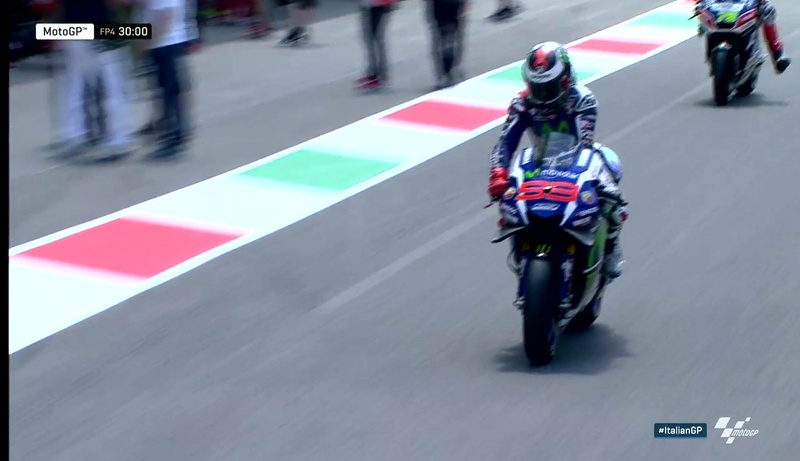 It was not the session Lorenzo had hoped for, the Spaniard having a much quieter time during practice in Mugello than most would have expected.